Managing is no longer about keeping tabs on every task employees undertake or watching over their shoulders every second they’re in their seats; it’s about leading people correctly so employees and companies can grow into their strengths and rely on others’ strengths to supplement their weaknesses. Today’s managers need to be leaders, helping the people who work for them discover what makes them successful. This way their employees can build upon their skills and continue to develop. Every Manager, like every employee, has leadership abilities, but some may need a little help in discovering their leadership potential. 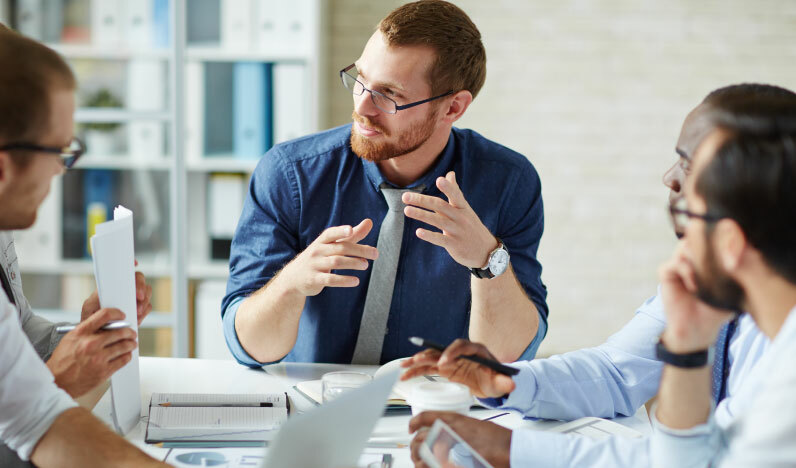 If Managers are open to learning and ready to challenge themselves a bit, a Manager can make a smooth transition from just a Manager to becoming a great Leader. The key here? Open yourself up to honest conversation, and find ways to navigate the negatives with positives. A single team may be comprised of many personalities and skill sets. That’s a great thing! Even within the same department, certain people will be better at some tasks than others. Conversely, those people who have weaknesses in particular areas, likely excel in others. It’s all about finding a balance so everyone is operating at full capacity, doing things they’re confident and happy doing. What does this mean? Simply put, bad managers put bodies in chairs and give them tasks. It doesn’t matter how good or bad they may be at their roles; they’re there to do a job. Good leaders assess employees’ unique attributes and look for ways to optimize their talents without downplaying their deficiencies. The key here? Know how to enhance employees’ strengths, rather than focusing on things you wish they could do better. Mission and vision statements set the tone for everything the business does. Good Leaders convey their departments’ missions while keeping an open mind, as change is one of the only constants in life. They are forward-thinking people who are always seeking ways to be better. They seek out confusion so they can instate tools that clarify problematic misunderstandings. Clarity is key in the leadership world. If you want people to perform as you expect them to, they have to know what’s expected of them. ‘Emotion’ is a funny word in the business world. Excellent leaders understand the strong effects emotions and people’s emotional state can have in the workplace. They learn how to use emotion and the momentum it can have. Empathy and sincerity — two sometimes off-putting emotions in the workforce – can be turned into diplomatic efforts that allow everyone to respect others’ opinions and skill sets. Tact and diplomacy are born from understanding. Once you understand who your people are and why they do what they do, you’ll have an easier time relating to their needs and motivating them as individuals — and as a team. These are just some competencies that leaders think about. Providing coaching, assessing the key skills of each employee, setting clear expectations, all while operating under an umbrella of emotional intelligence, can have you leading your teams more effectively into the next decade.